Roger Stone today revealed that in 2016 he was in communication with at least one senior Trump presidential campaign official about forthcoming WikiLeaks leaks that would be damaging to the campaign of Hillary Clinton. Stone is a longtime Donald Trump consigliere, and former colleague of the currently jailed Paul Manafort. On Thursday, Stone confirmed what many of us already knew or suspected by way of an opinion piece for the right-wing Daily Caller, in which Stone revealed an exchange he had with Steve Bannon, who was at the time the chief executive of Trump's presidential campaign. Stone's Daily Caller op-ed with the Bannon/Wikileaks e-mails were published *just* before the New York Times story about those very emails went live. Very Roger Stone. The NYT piece by Mike Schmidt et al details how Stone pitched himself to Trump campaign officials as someone who had connections and influence with WikiLeaks and Julian ASSange. When WikiLeaks published a trove of emails stolen from Hillary Clinton’s campaign chairman a month before the 2016 election, it was widely viewed as an attempt to damage her standing, even as WikiLeaks defended the release as an effort to bring greater transparency to American politics. We have since learned that the emails were originally hacked by Russian intelligence operatives. What is still not clear is how much Trump campaign advisers knew about the hacks at the time — a subject of the investigation by the special counsel, Robert S. Mueller III — or the extent of their interactions with far-right figures eager to undermine Mrs. Clinton. Emails obtained by The New York Times provide new insight into those connections, as well as efforts by Roger J. Stone Jr., a longtime informal adviser to President Trump and political operative, to seek funding through the campaign for his projects aimed at hurting Mrs. Clinton. The emails are verbatim, typos and all, save for email addresses deleted to protect the emailers’ privacy. At least one person who worked as a Trump campaign official in 2016 has informed Robert Mueller's investigation that Roger Stone told Trump's campaign that he had ties to Wikileaks and Julian ASSange. These email exchanges are part of the trove of documents which special counsel Robert Mueller is examining. "What was that this morning???" Bannon wrote to Stone on October 4, 2016. 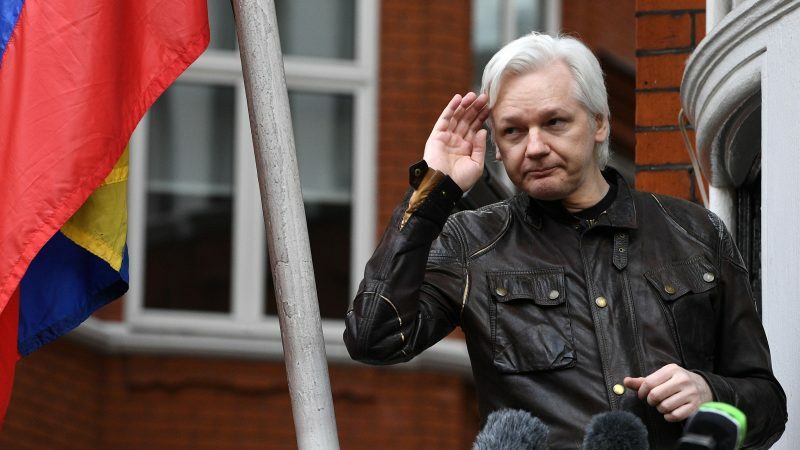 Earlier that day, WikiLeaks founder Julian Assange had delivered a speech billed as an "October surprise" announcement and had promised additional Clinton-related leaks. But the event turned out to be a publicity stunt where Assange touted his organization's 10th anniversary. All Assange offered was another promise of more materials before the election, angering some Trump supporters who were hoping for a bombshell. Stone replied to Bannon that Assange didn't release any documents out of security concerns. Then Stone wrote, "However -- a load every week going forward." "More importantly my prediction of 'a load every week going forward' is based on Assange's own public announcement hours before-that there would be weekly releases going through and beyond the election and not any communication with Wikileaks or Assange," Stone wrote in his piece headlined "The Treachery of Steve Bannon." While Stone says he still hasn't been contacted by the special counsel, nearly a dozen of his associates have been contacted for interviews with Mueller's team or testimony before the grand jury. Last week, Mueller's team interviewed Bannon for a third time, including about his communications with Stone.